There was once a time not long ago when Ed O’Bannon and Manuel Noriega were the talk of the nation, both for different reasons. Today they have something else in common. Ed O’Bannon, and his brother Charles, were once all the rage in Los Angeles, a difficult feat for anyone not a movie star or wearing a Lakers uniform. 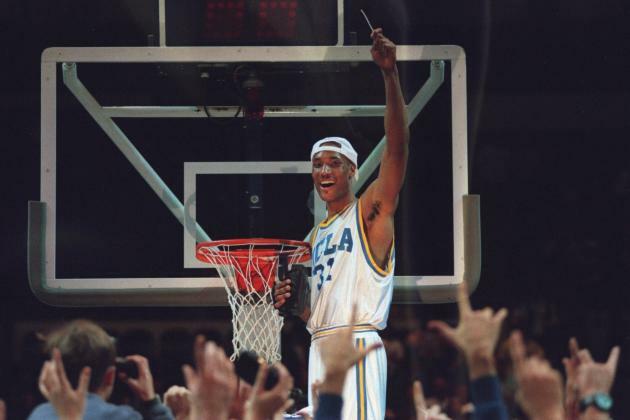 In 1995, behind Steve Lavin, the two brothers led UCLA to their first national championship since a man named John Wooden redefined college basketball some twenty years earlier. Not long before that, in another country a little bit to the southeast, a pockmarked general was making news not for shooting hoops but rather for shooting people. There was once a time in this country when we were obsessed with Manuel Noriega. As we must always have a bad guy to root against, in the mid-to-late 1980s, Noriega fit that bill perfectly. Despite the fact that the US government had once financially and militarily supported him as they had so many other Latin American dictators, Noriega soon became public enemy number one. Ultimately, the US ousted Noriega but this week he’s back in the news for the very same reason we still talk about Ed O’Bannon. Despite his national championship, O’Bannon is perhaps more famous for having his name associated with a recent and highly publicized lawsuit. O’Bannon felt that since the EA Sports and the NCAA had once used his likeness to garner profit from one of their top-selling video games, he should be entitled to a percentage of that revenue. As we all know, college athletes are only reimbursed for their services through tuition, room and board and not through pay. Meanwhile, the NCAA and the universities that comprise it make billions of dollars off their student/athletes. After years of courthouse drama and despite a $40 million settlement in the athletes’ favor, the legal system continues to review the O’Bannon case. A decision in either direction could be groundbreaking. 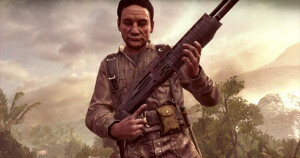 Manuel Noriega must have gotten that memo for he is currently suing the makers of Call of Duty for using his likeness. How’s that for irony? 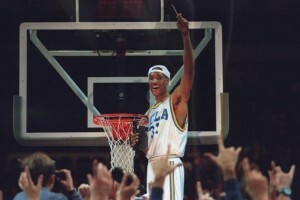 If the courts rule in favor of O’Bannon, Noriega might just have a case despite still serving out his prison sentence. According to the lawsuit, Noriega “was portrayed as an antagonist as the culprit of numerous fictional heinous crimes, creating the false impression that defendants are authorized to use plaintiff’s image and likeness.” The video game, one of the most popular around, has earned over $1 billion in revenue. That buys a lot of skin cream. Like the O’Bannon case, on which we may soon have a ruling, it’ll be interesting to see how this whole thing plays out and if the makers of Call of Duty end up reimbursing Manny for his likeness. This isn’t Monopoly where Noriega can’t collect a check because he’s in jail. I’m no Law & Order buff but if a judge rules in favor of companies illegally using O’Bannon’s and others’ likenesses illegally, wouldn’t that mean that precedent has been set and that Noriega has a leg to stand on? Twenty years from now, college sports may look a heck of a lot different than it does today. A court has already ruled that the Northwestern University football team can unionize. And we consistently debate over whether college athletes should be more fairly reimbursed for the revenue they generate. Like Noriega’s strict rule many years ago, the NCAA is a dictatorship that continues to unfairly rule with the support of the US government. One impending court ruling might mean that’s all about to change. This entry was posted in Featured, Hardwood, Pigskin, Screen and tagged Call of Duty, Charles O'Bannon, College Basketball, College Football, EA Sports, Ed O'Bannon, John Wooden, Law & Order, Manuel Noriega, NCAA, Northwestern, Panama, Steve Lavin, UCLA by Chris Humpherys. Bookmark the permalink. What was the real reason for Noriega’s overthrow ? An alleged drug criminal as claimed by the US ? Was it not his threat to name names with regard to many of the CIA’s covert operations in Latin America that also implicated then President George H W Bush /a> ? The Panamanian leader it was said possessed detail records of the actions of the US government and the fact Noriega allowed the CIA to use Panama as a base of operations . for many of their then covert operations . However in doing so, Manuel Noriega was allowed to supplement his income by using his country as a staging point for much of the cocaine that entered the US . Meanwhile , the pretext the idiocy of America’s war on drugs remained a fallacy . What use has the DEA been during its existence much less the CIA as it now stands ? The O’Bannon brothers , college basketball’s answer to the pop group Milli Vanilli . Not sure I see the correlation between Milli Vannilli and the O’Bannon brothers, Al, but okay. C’mon Chris , the O’Bannon brothers only success was at the collegiate level and from thereon it all went downhill for them professionally . Milli Vanilli lip synced their hits and then had to return their Grammy’s . No similarities ? Where have you been all of these years ? I’ve always thought Lavin pictured himself as a younger version of Pat Riley. Slicked back hair but forty pounds heavier and a foot shorter than Riles. Regardless, Al, the O’Bannon’s success was real not contrived. Or a pre-Calipari minus the impressive recruiting or overall sleaziness. Speaking of Riles, Coach, it’s back to the drawing board for he and the Heat. Think this team can win one without LeBron? I’m not so sure. The Eastern Conference playoffs suddenly just got a lot more interesting. Define contrived with regard to UCLA under Lavin ? Who in your mind is now the best player in baseball ? Given what you have seen from Scott Kazmir this season with the A’s do you feel that the Rays have any regrets ? Prior to the start of this season there was this idiocy that the Rays had the best pitching rotation in baseball . What premise was that actually based on ? 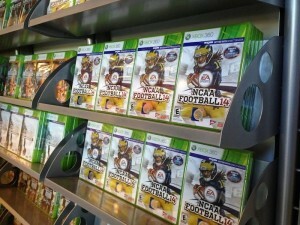 Or are the morons who cover the game simply dumb ? Your thoughts on both Stern and Adam Silver choosing to overlook the homophobic rants of Orlando Magic owner Rich DeVos ? I mean you suggested that the former commissioner has been good for the sport but I have yet to hear you offer up the faintest of comments concerning De Vos but in a piece by you , you harangue Donald Sterling’s paramour V Stiviano ? Which is it apathy or just tidbits that appeal ? There is no place like home and home is meant to be where the heart is …. Best player in baseball, Al? I’d probably have to give the nod to either Mike Trout or Miguel Cabrera. I’m excluding pitchers from the conversation but I’m with you on Clayton Kershaw. Kid’s nails. The Rays more important things to worry about other than a pitcher they released some years ago. I’m sure they wish Kazmir all the best but keeping him wasn’t in the cards. And personally, I think James Shields is a far better pitcher. You continue to bring up this whole DeVos thing? Has he said something new that was offensive or are you just bringing up the same old story? If you hadn’t heard DeVos’ statements pre and post Jason Collins declaring his sexuality , then your head must have been buried in the sand. The statements were decidedly lacking in any sort of compassion and simply disgusting , but then again this is Florida where common sense and intelligence does seem to be low on the totem pole when it comes to the sports’ fans in general within this state. Which is why I’m surprised that anything that comes out of some 80-year old billionaire still shocks you at this point. FYI, did you catch Chris Rock’s monologue at the BET Awards, specifically the part about Donald Sterling? Fast forward to about 6:45 minutes in. Hysterical.